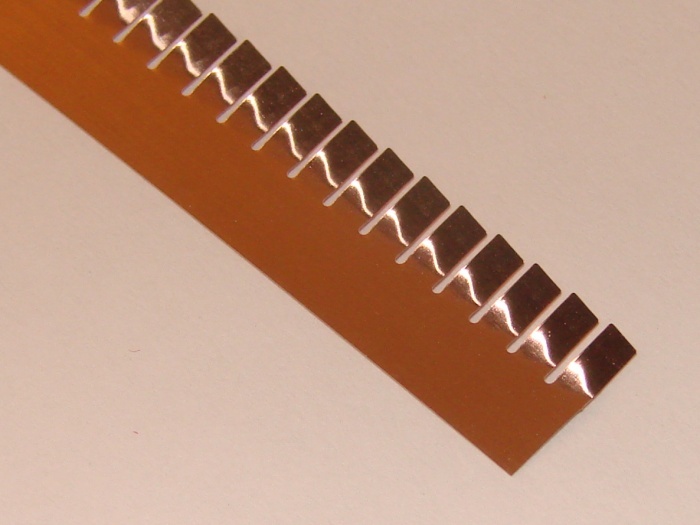 This series of RFI EMI shielding products possess high strength contact fingers with edge contact with mounting and mating surfaces. The low-profile fingerstock configuration provides for near closed gap requirements. Please refer to the Enviroseal Series of RFI EMI shielding products for the environmental version of these fingerstock products. Length:16.05 IN. / 407.8 MM.